Well, that was one of the crazier things I’ve ever done. I’ll keep this post mostly race-focused and get to all the other stuff that comes along with running a World Marathon Major race later this week, so lets start with Sunday morning. I got up terribly early, as I always do on race morning, and since I had everything organized was able to get out of the house about 40 minutes after I woke up. I made my way to the CTA and headed to Grant Park, munching on white toast and almond butter, which, by the way, I have gotten SO sick of. I think I need to switch back to peanut butter from almond butter for awhile, because after close to two straight years of eating almond butter every morning, I’m burnt out. Because I’m slower than I care to acknowledge, I was relegated to Corral H this year, even after trying to lie my way into Corral G so I could hang out with my friends before the race started. To be honest, my annoyance at being in Corral H was 100% an ego thing. Corrals H, J, and K all have grey bibs, and I’ve considered a grey bib to be the mark of a lesser runner…pretty much since I started paying attention to the Chicago Marathon in any capacity. I know I’m not a good marathoner, but I’d like to believe I’m not a bad marathoner, and to me, that meant never wearing a grey bib, ever. Well, I had no such luck this year. My embarassment turned to joy, however, when I realized that the grey gear check is mere steps outside of the finisher’s chute. In fact, there is no gear check closer to the finisher’s chute than the grey gear check. Because of that, I skipped the CARA VIP area at the Palmer House, since given the choice between walking maybe 250 meters to my gear and walking a MILE to my gear, I’d choose 250 meters any day, thanks. After sunscreening and Body Gliding, I dropped my bag off at gear check and did my best to settle down. I was pretty worked up about the race, which was driving me crazy. I touched on this during my Fox Valley Marathon recap, but there is such an ENORMOUS difference in atmosphere between running a small marathon and a gigantic, world-class marathon. When I ran Fox Valley, I had a hard time even comprehending what I was doing. The whole thing felt so insignificant, so unimportant, so casual–and I don’t mean any of that as a bad thing. It just felt like, “Okay, today we’re going to go run 26.2 miles. See you in a few hours.” Chicago could not POSSIBLY be more different. Chicago feels extremely significant, extremely important, extremely serious. And while I do enjoy the hype and the excitement and the feeling that the entire city of Chicago has come out to celebrate me personally (which isn’t true, but it certainly does feel that way), my GOODNESS does that make things infinitely more stressful. The buildup around Chicago truly makes it feel like it’s the most important thing you’ll ever do in your entire life. And whlie I like the race and certainly expect to continue running it in the future, if I’m being honest, I think I prefer the small race atmosphere a lot more. When I think about the half marathons I’ve run, for example, I’ve prefered the packet-pickup-at-a-local-running-store, show-up-on-the-Lakefront-and-be-back-here-in-13.1-miles sort of affairs to the pomp and circumstance of, say, Rock ‘n’ Roll or the Chicago Half. That isn’t to say that I don’t like Rock ‘n’ Roll or the Chicago Half (well, I don’t like Rock ‘n’ Roll Chicago, but that’s only because it takes place in July, and the only thing I like in July is being inside, hiding away from the heat and humidity)–the Chicago Half, in fact, is one of my favorite races. But I find it infinitely less intimidating to run an event that doesn’t make it feel like your entire life hangs in the balance of how you do at this race. Anyway, knowing that my anxiousness about the race was ridiculous and getting rid of my anxiousness about the race were, as always, two very different things. The gigantic portapotty lines did nothing to ease my concern, either, but fortuantely I managed to make it through mine in about 20 minutes and slipped into Corral H with less than 10 minutes to spare before corrals closed. I shuffled around for awhile and pretty soon after 8:00, we all moved from Congress onto Columbus and trudged towards the start line. I truly had NO idea what to expect out of myself on Sunday. I have never, ever tried anything as intense as running two marathons in three weeks, and I didn’t have a clue how my body would react to such nonsense. The weather was gorgeous and I was most certainly well rested, so I hoped, minimally, that a sub-5:00 would be in the cards for me, ideally that a PR would be in the cards for me, and perfectly that a 4:45 would be in the cards for me. I didn’t have much in terms of a game plan, other than that I wanted to go out slow and run on the blue line like my life depended on it. About a mile and a half in, however, I realized I was so fixated on sticking to that stupid blue line that I wasn’t even paying the slightest bit of attention to anything going on around me, at which point I figured if I was going to run a race with 1.7 million spectators, I may as well appreciate it, so I stopped caring much about the line and tried to enjoy what I was doing. Enjoying what I was doing, however, proved to be extremely difficult for a variety of reasons. My stomach was not in the best of moods, and I felt alternately crushingly hungry or vaguely nauseous for the majority of the race. Time and time again I considered making a portapotty stop at one of the aid stations, but I didn’t want to lose time doing that, and didn’t really feel like I needed one anyway, so I never stopped. I had only made it to LaSalle, which is less than three miles into the race, before my legs started to feel tired, which would ultimately prove to be my greatest challenge for the entire event. And on top of all of that, for the first half of the race, I just simply did not want to be there. I already ran one marathon this fall, darn it, and I don’t even LIKE marathons that much–or, at the very least, I certainly don’t like them enough to do two in one month. Now, to be fair, the grass is always greener on the other side, and I ASSURE you that if I had decided to not run Chicago this year after choosing to run Fox Valley, I would’ve been in an equally bad mood, though that time over not running the race instad of running it. Around mile 11 or so, I told myself that I only had to make it to the halfway point, and then I could start run/walking if I wanted to. I’ve never started walking that early in a marathon before, but I also haven’t ever run another marathon three weeks prior, so I figured I’d be able to forgive myself for it. After I passed the 13.1 mark, I ate some pretzels, which helped me feel better, then ran through the charity block party, which was a blast, and by that point I was to Ashland and it was only another half mile to Damen, which is the earliest I’ve ever started walking before at Chicago, so I told myself I had to make it to Damen, then told myself I had to make it to the 15 mile mark, and THEN I could start run/walking the next time my watch got to a :x0 or a :x5 (since my run/walk intervals are divided up into five minutes, I like to start them on a :x0 or a :x5 to minimize the amount of thinking and math I have to do to know when to start running or walking). That happened right about when we turned onto VanBuren, so that’s where I took my first walk break. Honestly, I think dropping down to a run/walk at 15 changed the entire race for me. My legs definitely still hurt, but my attitude improved immensely. The next few miles flew by, and I couldn’t believe how quickly I got to Taylor Street. About halfway down Taylor, I found Erin, and she ran and chatted with me for a bit (and showed off this year’s app to me, which was five gazillion times better than the app had ever been in the past in terms of runner tracking). While I was most certainly tired and my legs were most certainly SUPER over this nonsense, mentally, I felt great, which I think is at least half the battle in a marathon. I can’t really compare how my legs felt at mile 18 of Chicago to how they felt at mile 18 of Fox Valley, mostly because I don’t remember how my legs felt at mile 18 of Fox Valley, but I can tell you, beyond any shadow of a doubt, that I was in a MUCH better place emotionally at mile 18 during Chicago than at Fox Valley, and that made all the difference in the world. Pilsen was a ton of fun, and I was still sticking to my run/walk plan like a champ, walking one minute and running four. I only deviated from this plan a couple times. If I ever happened to miss my watch flipping from :x9 to :x0 or :x4 to :x5, I continued running straight through the next five minutes to ensure that I wouldn’t get shortchanged on my walk break and that I wouldn’t have to do math later on. I also felt good enough to occasionally run for nine striaght minutes, so that worked out just fine. Right after we crossed under the Chinatown Gate, I was feeling particularly queasy, so I took a two minute walk break instead of a one minute walk break, though heading into that two minute walk break I had just run nine straight minutes, so I didn’t get too worked up about it. I ran the whole last mile + change, per usual, and thought it flew by. I saw a couple more friends along the way and crossed the finish line in 5:07:49, which is either my third slowest marathon or my third fastest marathon, depending on if you’re a pessimist or an optimist 😉 I felt okay for the first bit of the interminable walk through the finisher’s chute, but started to feel decidedly less okay as I continued on. When I got back to gear check, I found a nice patch of grass to sit on, where I caught up on my friends’ results, had a banana and a bag of pretzels from the Mariano’s bag we all got at the end, and finally picked myself up off the ground to head to the 27th Mile Post-Race Party. I’ve never actually attended the party before, but the walk wasn’t quite as awful as I feared. My friends who ran all got beers, while I redeemed my beer ticket for a bag of chips instead, since apparently if you ask, the Goose Island bartender will let you get away with that. We hung around for a bit and then headed out to find food. Am I, ultimately, glad I did this? For sure. I know I would’ve regretted not doing my birthday marathon, and I know I would’ve regretted not doing Chicago. Is this something I’ll ever do again? Ehh…tbd. The Marine Corps Marathon and the New York City Marathon are both on my bucket list, and I have a hard time believing that I’d be okay skipping Chicago if I were already in the midst of training for a marathon (unless, of course, I ran MCM or NYC at a time where I didn’t live in Chicago.). Truly, running two marathons in three weeks wasn’t terrible. It was a challenge, absolutely, but it wasn’t impossible. I did get injured on Sunday, which was unfortunate, but thankfully I didn’t notice any pain at all until I got up from sitting in the grass after the race (peroneal tendonitis, for those curious), and I got to the finish line of both races without injury, which I didn’t think would happen. Congrats on the race! It was a gorgeous day out there and I loved every second of running through the city! Thank you! It seriously was such perfect weather. Congrats on your race, too! I’m glad you enjoyed the event! Congrats! Running two marathons within 30 days is no joke so you should be proud, no matter the time! 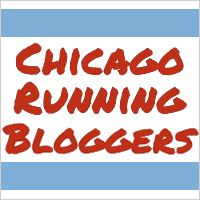 I will be running Chicago next year and reading all these recaps/following the action on Sunday has already gotten me excited! Can’t wait to register in two weeks! Thank you!! I love the asterisk you put after fun – that’s such an accurate way to describe running a marathon haha. It really does surprise me though how the same distance can feel like a totally different event at a different race! If I ever get burnt out on Chicago, I could definitely see myself doing smaller fall marathons instead. Huge congratulations, Bethany!!! You are a superstar for finishing TWO marathons within a 3-week period. Way to push through!!! It really is amazing how much of a difference it makes to do the run/walk, yes? I often run/walk my long runs, and it really uplifts me knowing that at any given point, I’m never more than a few minutes away from getting a breather. I hope you are resting and recovering like a boss!!! Congrats!! I’ve only just started getting serious about running this year. My first half will be the Indianapolis Mini Marathon in May. I actually want to work my way up to HOPEFULLY run(/walk) the Chicago marathon next year! Honestly, I don’t even care if I’m one of the last ones to finish, I just want to finish! I think you’re CRAZY to run two marathons so close together!!! BUT CONGRATS!!!!! Hahaha so does my now-injured foot 😉 Thank you, though! It was a crazy experience, that’s for sure.